Chancellor Philip Hammond at war with Cabinet as he plans Brexit SELL-OUT! The British Government is prepared to trade away access to Britain’s fishing grounds in order to secure a better deal on Brexit according to the Chancellor. 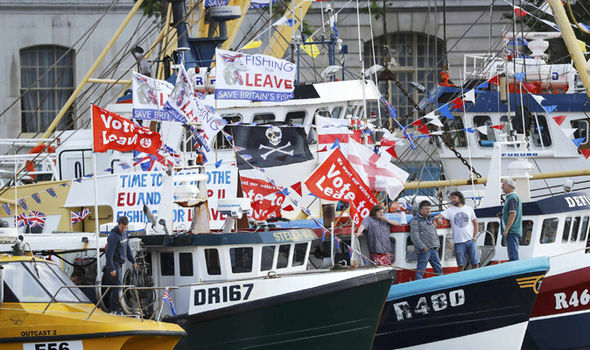 Hammond has risked fury by saying British fishermen might have to accept foreign trawlers having significant access even after the UK has regained control of its traditional fishing grounds. At a Press Conference today he was Asked whether it would be ‘acceptable’ to trade off fishing rights in return for a better deal for more lucrative sectors of the economy such as the City and Hammond replied: "Fishing is an iconically important British industry and we are very clear that we are taking control of our waters. But of course we would be open to discussing with our EU partners about the appropriate arrangements for reciprocal access for our fishermen to EU waters and for EU fishermen to our waters." Brexit Secretary David Davis immediately launched back, thundering: "We are not going to be trading away fishing rights for other things, that is for sure."